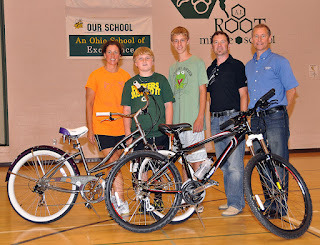 Century Cycles Blog: First Medina Bike To School logs 13,171 miles! The inaugural Medina Bike To School Challenge sponsored by Century Cycles concluded at Root and Claggett Middle Schools on Tuesday, May 29, with school-wide celebrations of the students’ bicycling accomplishments by Medina’s mayor, school administrators and program organizers and sponsors. Medina middle school students logged 13,171 miles on their bikes and on average 193 students (9.3%) biked each day during the three-week program that ran May 7-25! Main sponsors Century Cycles bicycle store in Medina and bicycle manufacturer Raleigh Bicycles teamed up to give away two grand prize bicycles, which were won in a random drawing at the Root assembly by 8th grader Logan Usher and 6th grader Truman Karczewski (below). Both boys biked every day of the challenge. 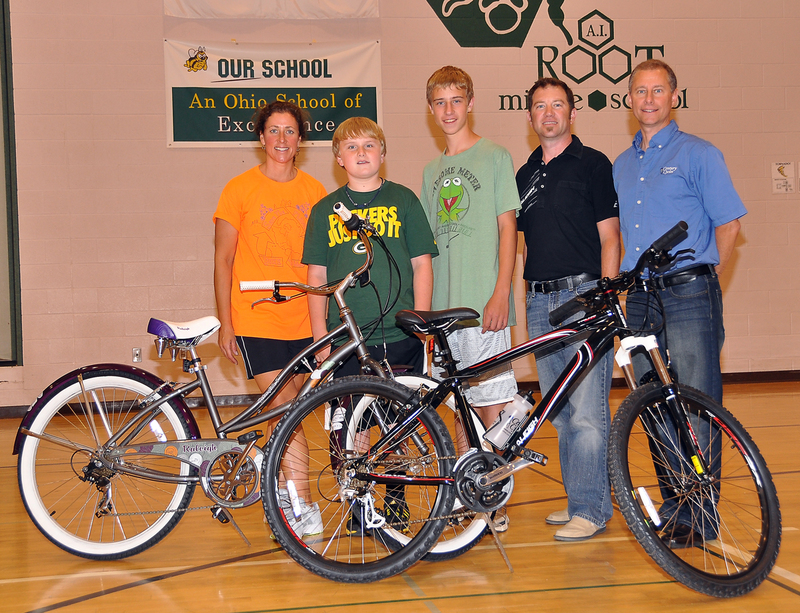 At Claggett Middle School, the grand prize Raleigh bicycles were won by 7th graders Dustin Green and Nate Neuwirth. Dustin biked all but two days, and Nate biked every day of the challenge. Raleigh Bicycles also gave Claggett and Root Middle Schools $500 each as an award for exceeding their bicycling goals during the challenge, to use for fitness and bicycling programs. The Medina Bike To School Challenge t-shirt design contest was won by 8thgrade Root Middle School student Zachary Hunter. 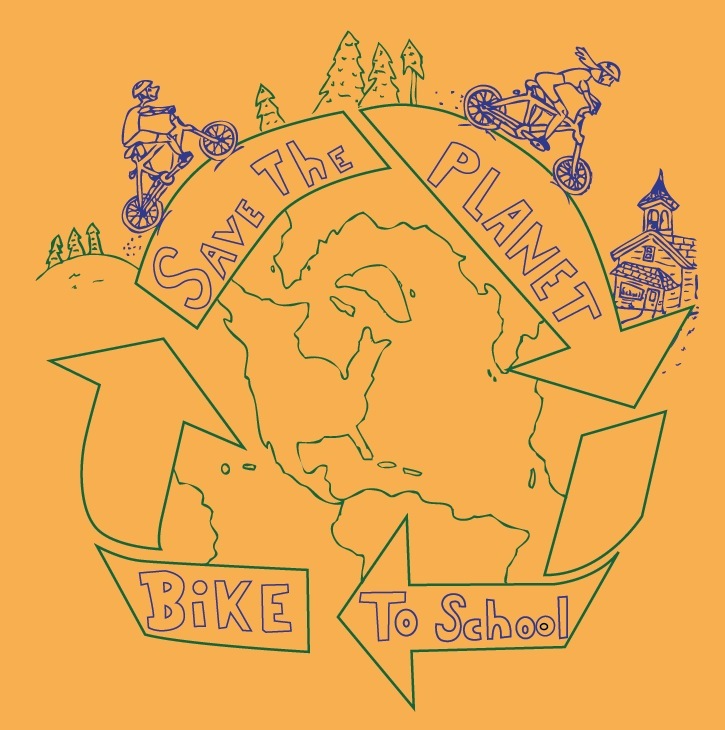 He won a prize package from Century Cycles, and his winning design (pictured below) is featured on the front of the shirt given by the bike store to every student who biked to school four days or more during the challenge. 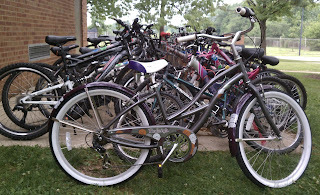 Based on daily bike counts and student surveys, Bike To School Challenge organizers report that both Claggett and Root students took 2,901 rides to school and biked 13,171 miles on May 7-25. On average, 193 students biked each day, or 9.3% of the total enrollment of both schools. This was up from the 1-2% of bike-ridership reported at both schools prior to the start of Medina Bike To School Challenge. 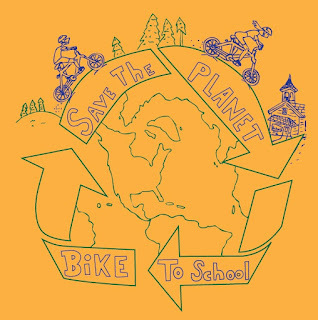 Both schools saved a combined 14,488 pounds of heat-trapping carbon dioxide emissions from the environment by bicycling to school during the challenge’s three weeks. They also saved 588 gallons of gasoline (using the average U.S. vehicle fuel economy of 22.4 MPG) and saved their parents $2,205 on gasoline based on the current Ohio average gas price of $3.75/gallon. 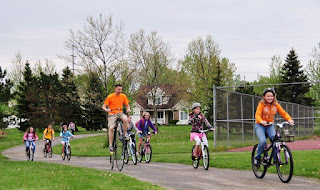 Calculating that a 100-pound person burns about 17 calories per mile during moderate bicycling, Medina students burned an estimated 223,907 calories just bicycling to and from school. Studies show that physically active students do better academically and everyday exercise helps combat rampant childhood obesity. Root Middle School students have a 4.1-mile roundtrip commute to school and biked 7,868 miles during the challenge. 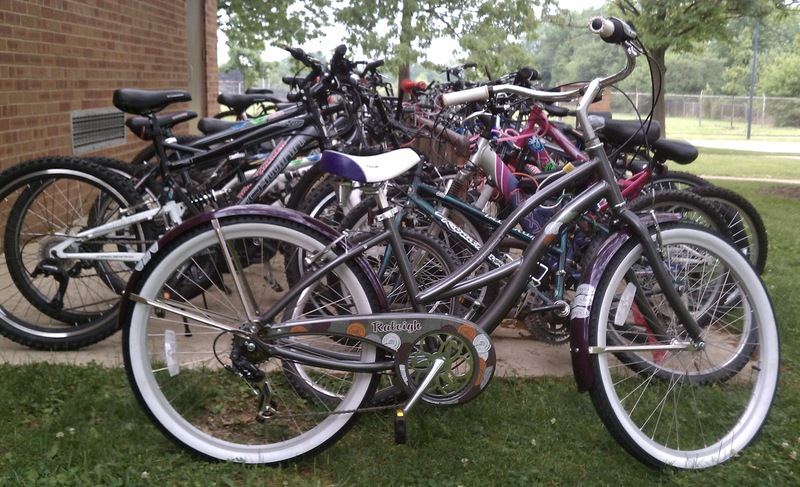 The school averaged 128 bicyclists per day, or 15% of the school’s enrollment of 850 students. The students saved 8,655 pounds of CO2 emissions, burned 133,756 calories, and saved their parents $1,316.25 on gasoline. 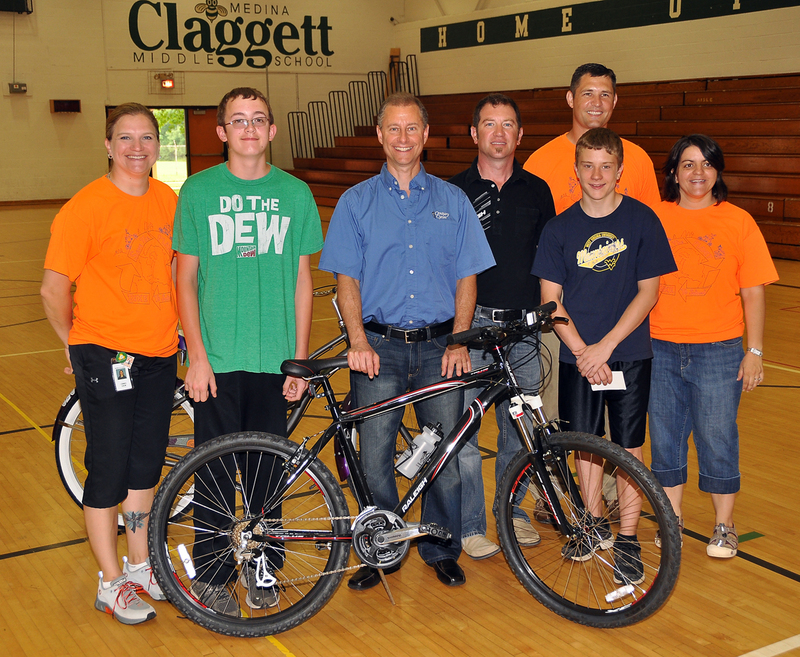 Claggett Middle School students have a 5.4-mile roundtrip commute to school and biked 5,303 miles during the challenge. The school averaged 65 bicyclists per day, or 7% of the school’s enrollment of 950 students. The students saved 5,833 pounds of CO2 emissions, burned 90,151 calories, and saved their parents $888.75 on gasoline. Besides Century Cycles and Raleigh Bicycles, other sponsors that contributed prizes and support to make Medina Bike To School Challenge possible were Subway of Medina (986 North Court Street), Nature’s Touch Massage, Medina Recreation Center, Cleveland Cavaliers, Cleveland Indians and Guy’s Pizza. We were so thrilled when Logan won his Raleigh mountain bike. Both Logan and Adam (his twin brother) ride their bikes to school whenever they can and they were almost too big for their middle school bikes (from Century Cycles, of course) so this came at the perfect time. Thanks for the great deal on Adams matching bike and for letting us upgrade.